... and the shockwaves from the publication of Bram Stoker's Dracula, the previous year, continue to shake the world of the word of the Kindred. It shouldn't have mattered as much as it did. Legends of vampires have circulated for centuries. Now a popular novel has sparked a wave of interest in the old stories - what of it? If anything, Dracula might have helped the Masquerade, by re-inforcing the idea that the Kindred are nothing more than lurid fiction. But these are frightening times, especially for centuries-old elders accustomed to a world lit only by fire. How secure are their carefully tended Domains, when steam power can now carry their enemies across England in a day and the Atlantic in a week? How can they guard their secrets, when a telegraph wire can carry a message across the Atlantic in mere minutes? How can they hide in the shadows when gas lamps and this new-fangled "electricity" light up the night? Stoker's novel was the last straw. London's elders are too smart to attempt a harsh crackdown that'll simply turns their fears of youthful revolt into a self-fulfilling prophecy. They haven't lasted hundreds of years by being that stupid. 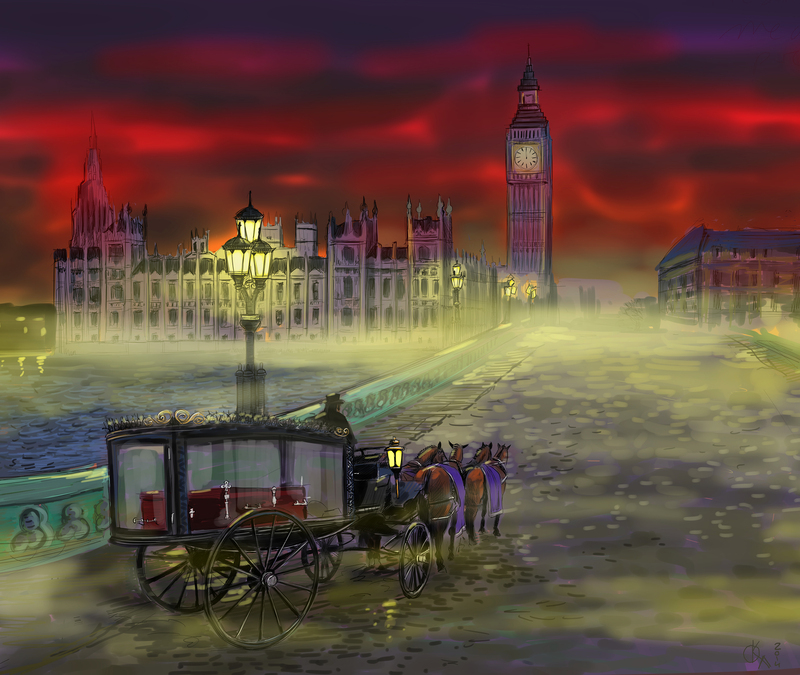 But London's Camarilla society has degenerated into an even bigger morass of spying, backstabbing, deceit, manipulation, blackmail and treachery than usual - which is saying a lot.